Water timer with brass thread for secure tap connection. Watering time up to 120 minutes – stops automatically after set time expires. Includes Tap connector and pre-filter. 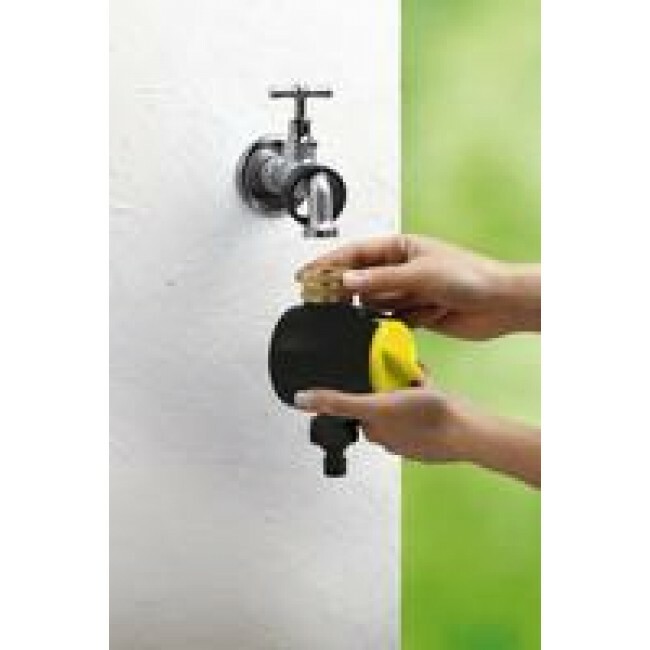 Water timer WT 120 features a brass thread for secure tap connection. Watering time up to 120 minutes. Watering stops automatically after set time expires. Includes tap connector and prefilter. 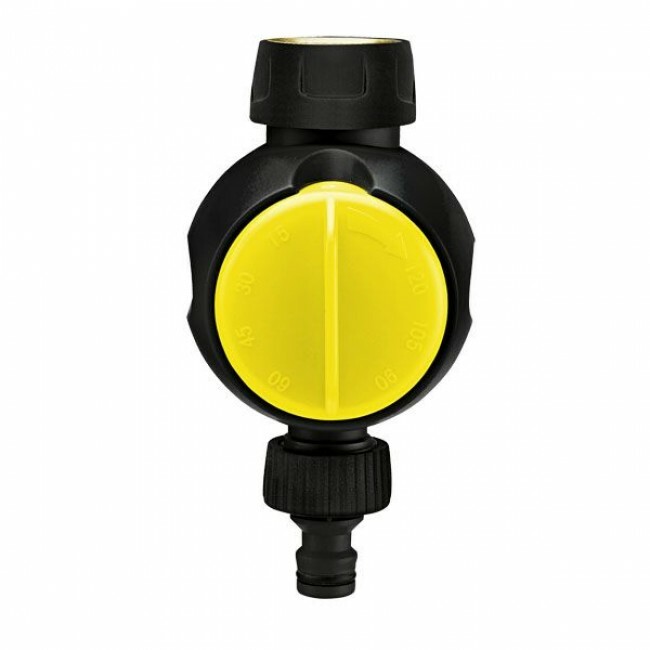 Kärcher water timers start and stop automatically after the set time expires – easy programming. Water only flows when needed – cost-effective and environmentally friendly. Kärcher water timers are compatible with all known click systems.